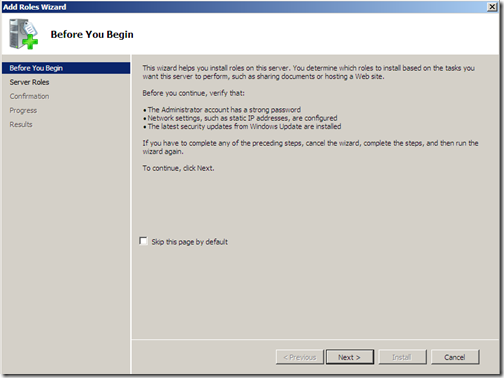 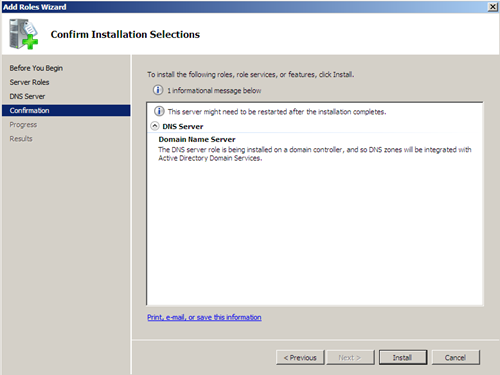 In the last post we installed Active Directory on Windows 2008, and we were advised by the AD installation wizard to install DNS right after the reboot. 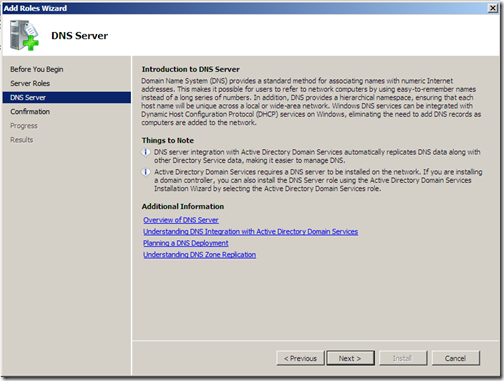 DNS is a required component in order for active directory to work properly. 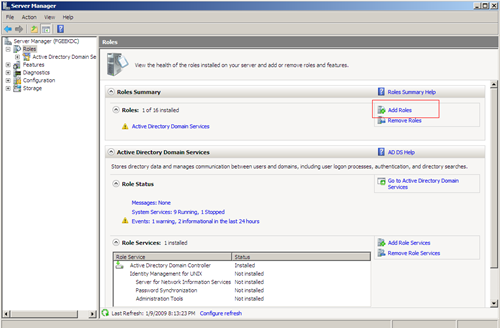 Is highly recommended that you have a healthy DNS server running on your network before you start playing with active directory. 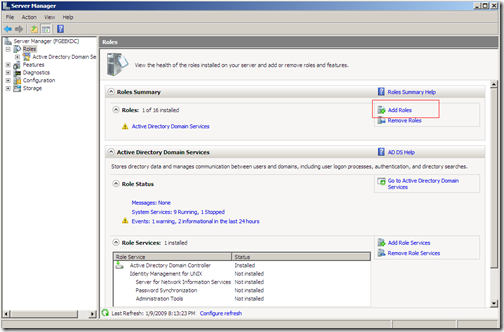 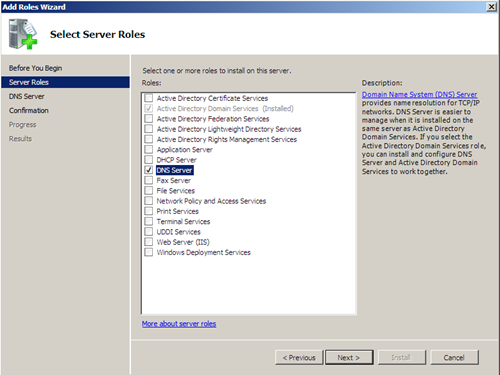 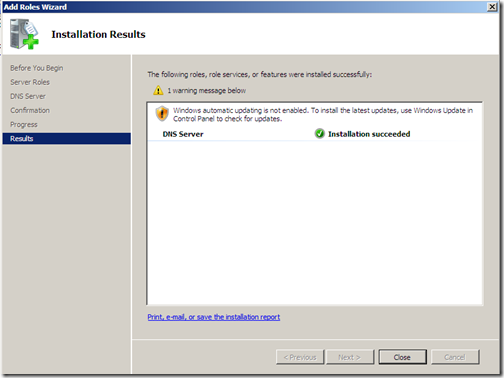 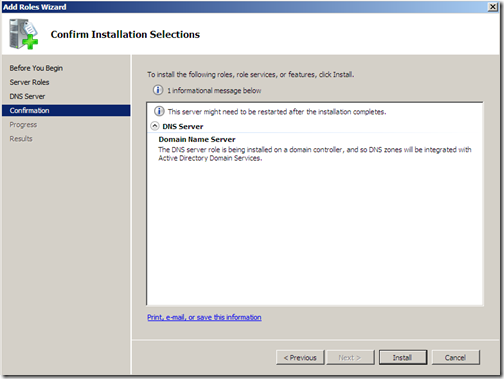 On the following window, choose DNS Server as your server role. 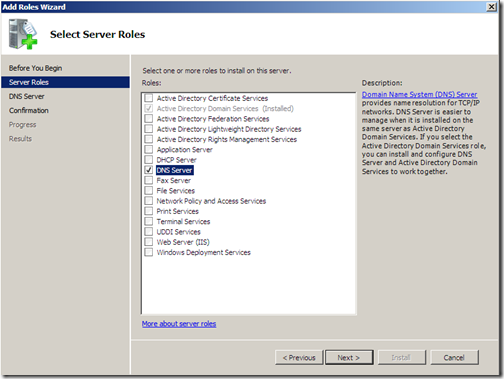 after choosing DNS as your server role, click on Next. 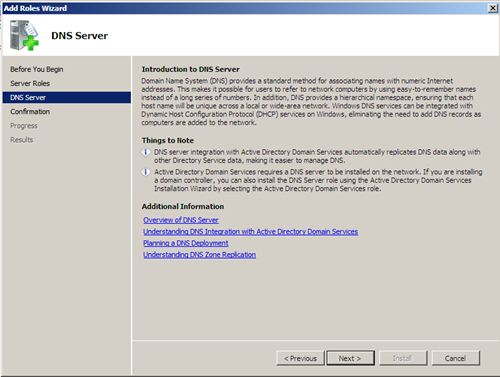 on the following screen you get a small summary on what DNS is, and what is useful for. 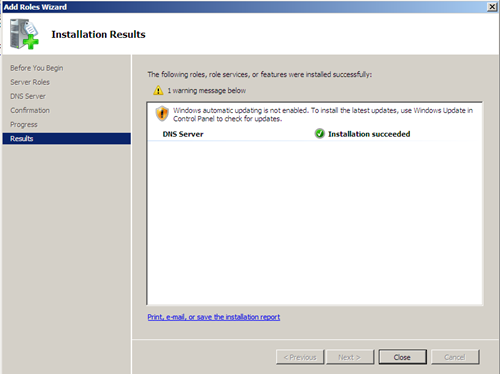 Click next after you finish reading about DNS. eventually you should get the Results page. 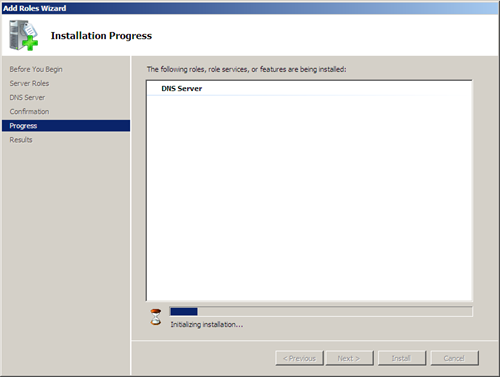 DNS should be now installed.